Tim Sweeney is currently a Visiting Professor of Marketing and Business Strategy at Bucknell University. He joined the Bucknell faculty in 1980, retired in 2005, and returned to Bucknell as a visiting professor. Prior to Bucknell, Tim served on the business faculties at the University of South Florida and St. Bonaventure University. He continues to serve on the Bucknell Business Advisory Board. As an academic educator in a professional field, Tim believes very strongly in the need to engage the business community by taking advantage of professional consulting opportunities. His consultations have included the design of measurement systems and methodologies for identifying corporate brand positions and developing strategies based on those market positioning studies. Along with several colleagues, Tim had started a market research firm that focused primarily on such studies for a number of different corporate clients. 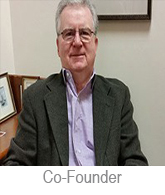 In addition to these market research assignments, Tim has conducted executive and management development programs in the USA, Asia, Australia, South America, and Turkey. He also served as an outside director on the board of a publicly held corporation. Bucknell has recognized Tim’s contributions to the University with the Bucknell University Teaching Award in 2003, the ECAC Award for outstanding service to the Bucknell University Department of Athletics/Recreation in 2000, and as the first recipient of the Academic Appreciation Award in 2010, also from the University’s Department of Athletics/Recreation. Among Tim’s proudest achievements at Bucknell was the development of the Institute for Leadership in Technology and Management (ILTM), an innovative program that brings engineering, business, and liberal arts students together in a collaborative learning environment, a program which Tim co-founded in 1993 and directed for over a decade. Tim holds a BS and an MBA degree from the University of Scranton, and earned a PhD degree in Business Administration from The Pennsylvania State University.